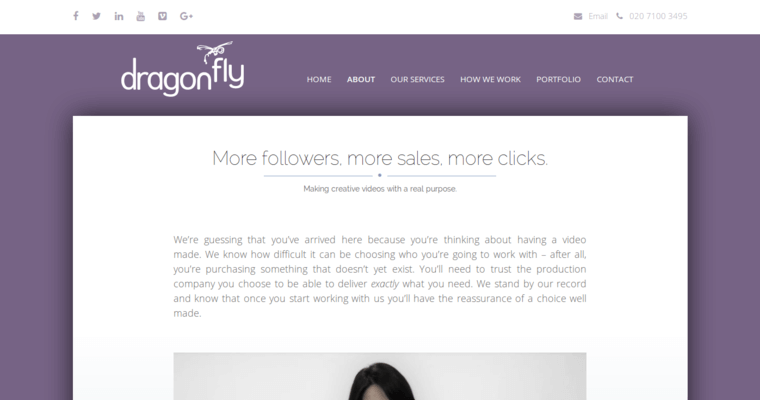 Dragonfly Production is a video production firm based in London, and it has been in business since 2005. The firm has experience in creating a wide range of videos, including corporate, animated and event videos. The firm starts by learning about your brand, audience and goals. 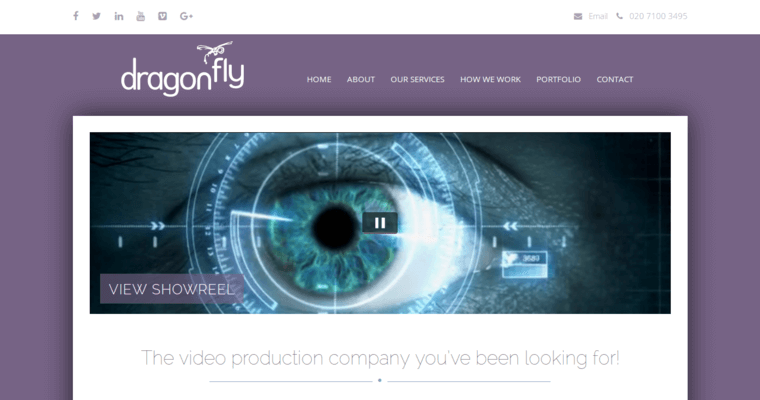 Their goal is to create a corporate video that delivers your message. Your video is created by a team of scriptwriters, directors, voice-over artists and camera operators. A team of editors will touch up the video until you are satisfied with the final cut. You do not have to worry about loud music or awkward angles distracting your audience. The firm is focused on creating a video tells your story. 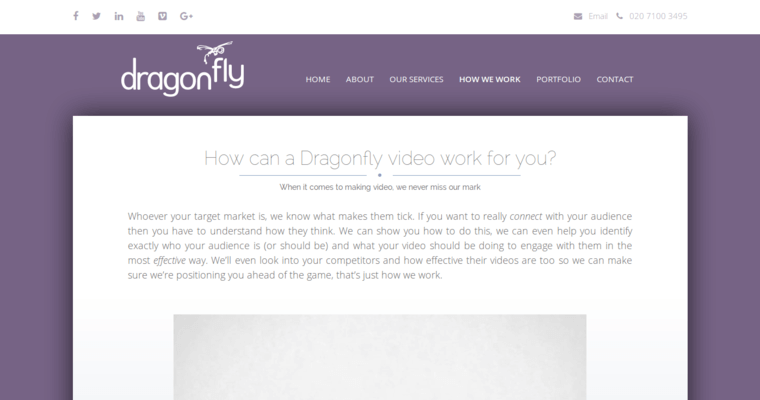 Dragonfly Production has created successful videos for several well-known clients. Their portfolio includes Amazon, Honda, L'Oreal, Playstation and Domino’s Pizza. You can contact the firm by filling out the form on their official website.